On February 16, 2015, Kristi Clark and her 10-year-old son, Carter Oakley, were hit by a semi and killed after they got out of their car to help five people in an overturned SUV on an ice-covered I-65 in Franklin. Nearly four years later, Kristi’s parents, Brad and Bonnie Lewis, stay very much in touch with members of the Franklin Police Department. A bond brought about by tragedy will bring help to needy families this Christmas, in memory of two good Samaritans who died helping others in need. to fill the toy boxes made by Kristi’s dad, Carter’s grandpa. 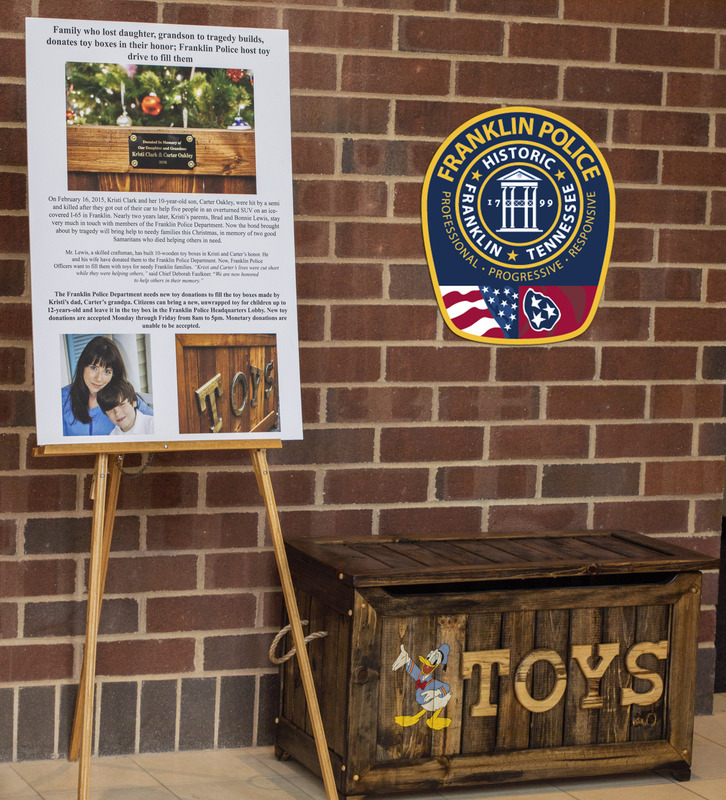 and leave it in the toy box in the Franklin Police Headquarters Lobby. New toy donations are accepted Monday through Friday from 8am to 5pm. Monetary donations are unable to be accepted.